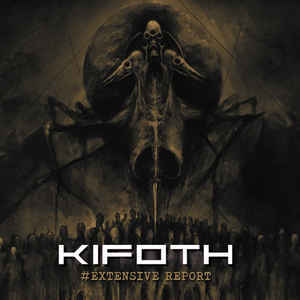 Background/Info: Kneel In Front Of The Executioner, better known as KIFOTH is back on track with their seventh official full length album to date. 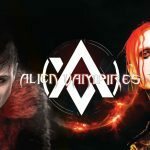 After having worked together with Out Of Line and Vendetta Music they now joined hands together with EK Product to release this new opus, which also is the first one in seven years. The Slovakian duo K-head – Mir Colon sometimes take a break, but always fight back with power and efficiency. Content: KIFOTH has considerably evolved in sounds throughout the years. They started as a promising EBM band, but “Extensive Report” reveals a mature and more elaborated songwriting plus efficient production. This is an intelligent EBM format, which might appeal to lovers of bands such as Frontline Assembly, Mentallo & The Fixer and Leather Strip. Mixing heavy bombast drum sections together with refined bleeps, the work is made of multiple sound layers. That’s precisely what differentiates KIFOTH from the average and stereotypical EBM standards. A few orchestral arrangements accentuate the global power. + + + : The sophisticated sound writing is something essential on this album. It reveals a creative spirit and a smart production. I like the heavy drum sections and the judicious bleeps and other electronic noises. There’s an industrial touch supporting most of the songs. There are several attention grabbers on “Extensive Report” and especially 2 songs I want to recommend: “Global Warning” for the early FLA style and “Clandestine And Formidable”, which is an alluring EBM song. – – – : The only point I’m not entirely convinced consists of the vocals’ production on a few cuts. I’m not that fond of the singers’ timbre of voice although I like the more spooky style of singing on a few cuts. Conclusion: KIFOTH has found a new and comfortable home by joining the EK Product roster while this new comeback will definitely please the EBM community. This band remains for sure one of the hottest Slovakian EBM bands in history. Best songs: “Global Warning”, “Clandestine And Formidable”, “Proxy War”, “Air”, “Crude Oil”.